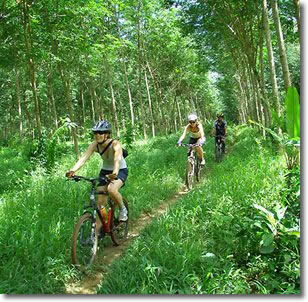 If you’re looking for a mountain biking day tour that combines natural beauty with cultural charm, visit Koh Yai Noi. This island has been able to maintain its charm in spite of its close proximity to crowded Phuket and Krabi. The pace of life on Koh Yao Noi is very relaxed. These are some of the most laid-back, friendly, easy-going people you’ll ever meet. Traffic is not a problem on the island, so we cycle along the many smooth secondary roads without having to worry about other vehicles. Travel on the roads as you observe fishing villages, local shops, markets, rubber plantations, farms and gardens. There are also plenty of trails, both easy and challenging. Single track trails are available too. Your guide is our lead Thai cycling guide, Mr. Run. 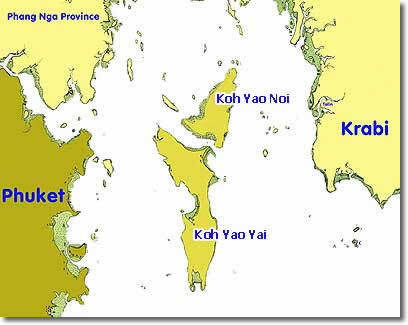 Run was born and raised on Koh Yao Noi. He knows every inch of the island and, of course, every person on the island. Run has a very warm and hospitable personality. He’s also safety conscious and trained to international first aid standards through Emergency First Response. Each trip is tailored to the participant’s desires. We only run small-group biking trips (2-8 guests), so this is easy to coordinate. We have a few standard routes that are suitable for the generally active adventurer, but more challenging routes are also available. This cycling day trip includes a morning hotel pick-up from any hotel on Phuket. You’ll take the public ferry from Phuket to Koh Yao Noi. This is the fastest and most environmentally-responsible way to get to the island. The ferry transfer takes about one hour. You’ll return to Phuket on the afternoon ferry. Depending on where you’re staying on Phuket, you should be back in your hotel by approximately 5:30 - 6:00 PM. This trip includes all transfers, a quality mountain bike (with a helmet), lunch, water, and insurance. You should bring riding shorts, gloves and suitable shoes. If you wish to bring your own pedals, that’s fine. If you have a Camelback or similar personal hydration system, please bring it. Paddle Asia does a lot of community service work on Koh Yao Noi. We don’t just take advantage of the villagers’ hospitality. 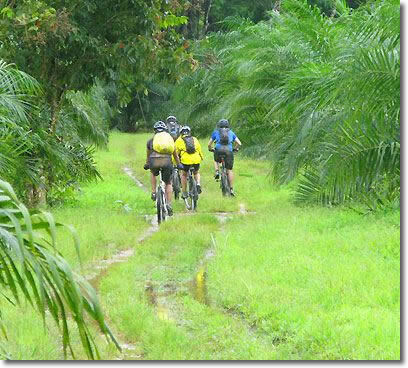 We are intimately involved in the community on many levels and we have been cycling on Koh Yao Noi for over a decade. Dave is an Emergency First Response Instructor and a certified rescue technician through the Rescue 3 International organization. View certifications. All of our professional guides are certified in CPR and First Aid. Mr. Run is certified in first aid through Emergency First Response and has been for several years.